Going to see a film like Peepli Live one needs to go with an open mind because it doesn't necessarilly fall into any of the categories that we compulsively like to put every film into. One may see it as a satire, a social commentary, a realistic film, an issue based film or just as an entertainer. Peepli Live at a certain level is all of them but not particularly any of them. Is Peepli Live a perfect film? No, if at all there is such a thing as a perfect film. Is it pathbreaking. Its not, was never meant to be. Yet it leaves you in awe if you see it from the right perspective. 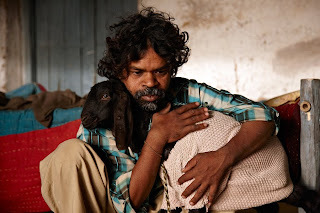 Peepli Live is a daringly honest film and that is its biggest strength. Anusha Rizvi, the writer-director of the film knows exactly why she was making this film and never gets carried away by commercial temptations, cynicism or pseudo-artistry. The central character of the movie is no hero nor a greatly dignfied human being. Neither the media is evil in the absolute sense. They are all what they are because of their circumstances and the fact that they are all humans, flawed yet not all that bad. On another level a great achievement of Peepli Live is that it proves that to depict an honest story you need not take the audience for granted while expecting them to pay for bearing an unengaging film. There are lots of funny scenes, some critics may even question the requirement of certain humurous situtations while depicting the whole scenario. The fact that these scenes never feel out of place or forced is because all of them are within the context of the whole scenario and are humourous without any exaggeration or manipulation. Humour in the film comes from characters and their natural situations. Despite that there are instances in the film which may seem a bit over the top but anyone who has a genuine understanding of how the politics, media and bureacracy works in India they'd know even far grosser situations are possible in reality. Indeed reality can be stranger than fiction. Just that most filmmakers in desperation to make it stranger use more convenient methods while Peepli Live is deeply researched, felt and filmed. Aamir Khan has said that he was considered for playing Natha but after they found Omkardas Manikpuri, there was no way he could even think of playing Natha. After you see the film you realise why. The power of the performances in this film is that you never see them as performances or someone deliberately acting, you just see the characters in certain circumstances. One actually feels that we have known these characters, more so if one has been to such places. Peepli Live may seem like a simple straightforward film at the surface but if we dig deeper it has many subtle layers like the central character Natha who hardly has any dialogues but still conveys the most or the local print journalist Rakesh who after a certain point in time realises the vagueness of the whole 'tamasha'. It is heartening to see that a film like Peepli Live having the best possible and uncompromised production standards. Despite the obvious commercial risks with such a film there are no product placements and to retain the genuine hinterland lingo it was not toned down for attaining a more commerce friendly 'U' Rating. Technically be it editing, cinematography, sound design, set design, costumes or make-up all are top-notch in their own ways without being distracting which is an achievement in itself. Kudos to the whole production team. Peepli Live neither takes sides nor offers any solutions. It is an honest reflection of a society, without any agenda or cynicism but a much needed deep understanding. Different viewers are expected to receive it differently because nothing is forced onto the viewers. With all the buzz and hype surrounding the film, a viewer may go in with certain expectations but at the heart of it, Peepli Live is a rare honest film that succeeds greatly in its portrayal of an India which we already know along with an India which we otherwise choose not to know. Verdict: While it certainly doesn't qualify as a universal entertainer neither it is meant to be but there are very rare chances that you'd regret spending the price of a cinema ticket on it. Absolutely recommended!!! Very well balanced review. Completely objective and captures the essence of the movie without getting overtly critical. Saw it at Melbourne Film Fest. Brilliant film though gets a little slow in the end but hard-hitting. worth watching. Great review buddy! Well balanced and articulate. Will watch this one soon! dude.. to tell u the fact, i have never ever read such a brilliant and objective review of a movie.. dude u rock...!!! dont let this passion for films die...ur gonna rock the media industry some day. nice review, but dont think i will watch the movie. Pepli Live was a very good film. Thoroughly enoyed watching it.